What a joy it is to relax at home! After a long day at work I love being able to grab a mask, a glass of wine, and read a book in silence. 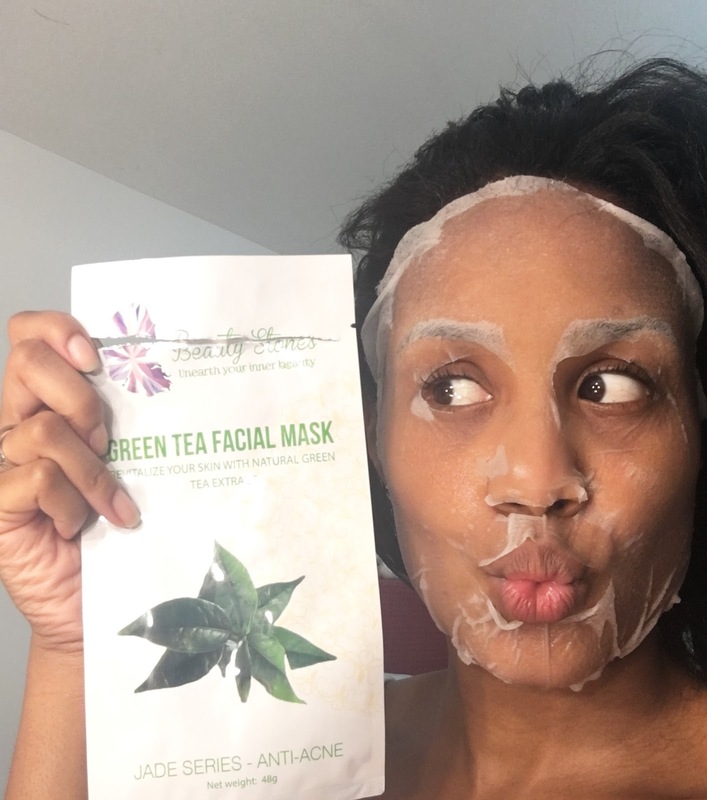 Yesterday I treated myself to a mini facial with the Green Tea Facial Mask from Beauty Stones. A huge THANK YOU to the Beauty Stones team for sending me this mask for review. There are lots of interesting products on the Beauty Stones website and I like that you can see the prices in different currencies. I find it sometimes difficult to determine how much a product really is because most websites don't display prices in Canadian Dollars.